Sorel Mizzi, aka "Imper1um", aka "Zangbezan24", continued his online live poker streak on Monday, finishing 3rd at the Irish Poker Open, taking home a whopping 371k euros after a three way chop involving himself, Roland de Wolfe and Marty Smyth. Mizzi employed his aggressive style in building up a huge chip stack, and entered the final day of play on Monday with almost triple the chips of his closest competitor. However, his opponents caught up to him, and by the time of the chop, Mizzi had around the same amount of chips as what he started the day with. The three players agreed to a chop, leaving 100k euros on the table for the winner. Mizzi received a great chop, guaranteeing himself well over 2nd place prize money. Mizzi was severely crippled shortly after the chop when he got all his money in with pocket sevens against De Wolfe who held KQ. The flop brought a J and a 10, giving de Wolfe an open-ended straight draw, and the river was an ace, practically ending Mizzi's day. Mizzi was gone the next hand. I am sure that Imper1um is not complaining though. Where will his conquest of Europe take him next? 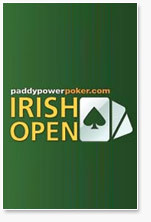 First he carved up the Monte Carlo sidegames and now he finishes third at the Irish Poker Open. Watch out for Imper1um at this year's World Series of Poker.